Be aware of common dog health problems. Your dog's health is a priority. As soon as you bring home your new German Shepherd, make an appointment with your veterinarian. It is important to establish a relationship with a vet that you trust. Your GSD will need regular checkups and a series of vaccinations to ensure proper health. Work together with your vet to help your pup avoid dog health issues. If you received your dog from a breeder, you should have documentation on the first round of puppy shots. Discuss with your vet a proper puppy immunizations schedule. Be aware that over-vaccinating using a traditional dog vaccination schedule can also be detrimental. In addition to routine vaccinations and regular check-ups, there are other dog health issues you should be aware of. Have a Question for the Vet? If you have a non-emergency situation, you can use the form to ask the Vet a question. You will normally have an answer within a few hours. For a nominal fee, this may save you a costly trip to the vet. Of course, if you suspect your dog has a bloated stomach, or another medical emergency which needs immediate attention, do not hesitate to rush to the vet. You can also find non-emergency common dog health care questions and answers. You can save your dog's life with Dog First Aid 101. Learn how to prevent, prepare for and treat injuries, illnesses, and poisonings before something unbearable happens to your canine companion. It's much harder to learn a new skill in the heat of the moment. Should the unthinkable happen, you will know what to do. You might consider getting pet insurance for your pooch. 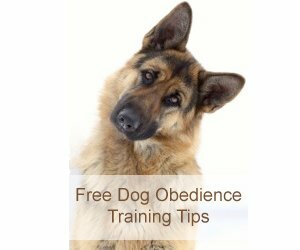 Unfortunately, German Shepherds are susceptible to a variety of common dog health problems. Make sure your GSD is protected should unexpected medical bills arise, due to an illness or accident. Be sure to compare pet insurance plans to find the one that is best for your situation. This page focuses on US based pet insurance companies. This holds true as much for dogs as it does for humans. Nutrition is important for optimum German Shepherd health. The quality of food that you provide will have a strong impact on the well being of your dog. Skimping here will make your dog much more susceptible to common dog health problems, including preventable diseases, such as cancer and diabetes. The chances of getting these and other lifestyle diseases will be greatly diminished if you feed natural pet food. Do not feed your dog commercial pet food. Poor nutrition will inevitably result in a sick dog. Instead, choose holistic dog food made from human grade ingredients, such as Wellness Pet Food or Wysong Dog Food. German Shepherds are notorious for joint and hip issues. Protect your GSD with a high quality supplement containing glucosamine, chondroitin and MSM. Nutri-Vet Hip & Joint Plus contains everything you need to keep your dog's joints healthy. Take good care of your dog and you will both be rewarded with many happy years together.